A few weeks back I was working with a group of educators from Simon Fraser University who are completing a graduate diploma in Supporting Diverse Learners (SDL). I was explaining that we need to build a social ramp for our students with Autism, but that instead of building it with wood or steel, we need to build this ramp with social cognition strategies and our own modeling of acceptance and understanding. Just telling a child/young adult that they should think this way – or respond like that – is certainly not enough. That they don’t understand some social rules or expectations (let alone the myriad of unspoken social rules) after perhaps being told hundreds of times, has at often resulted in these kids being labeled manipulative, overly dramatic, rude, inconsiderate, arrogant, or just plain troublesome. Children on the Autism spectrum may not intuitively understand the perspective of others because they are challenged with reading nonverbal social information. This means they may be lacking the natural social ability to understand the thinking or perspective of others, but that doesn’t mean that they cannot learn this as a cognitive skill. They may not intuitively read the body language or nonverbal communication cues of others, but they can learn to use social cognitive strategies and make their way with interventions that teach these connections. They may never navigate the social world with intuitive ease, but given the opportunity and the strategies, they can learn to navigate it relatively successfully. There was a time, years ago, when people with physical disabilities had to advocate for their rights to access within our able-centric world. There was a time when there were no parking spots, bathroom stalls or ramps for those with physical mobility challenges. Generally now our awareness at a society level for those with mobility difficulties has improved, and we would never accuse a child with a physical disability of being manipulative because they were unable to use the stairs. We wouldn’t tell them how, show them how, give them visuals of how to do it, and then accuse them of being drama queens, or attention-seeking if they were still unable to climb the stairs after being told and shown how repeatedly. Instead, we recognize the challenge and alter the environment and make accommodations to meet the needs of the individual: we build a ramp. The challenge for us, all of us, is to get our own minds around how difficult it can be for a child on the autism spectrum to understand and navigate the social world. There is no easy answer of course, but we can use the tools that are being developed, like Michelle Garcia Winner’s Social Behaviour Mapping strategy, or Carol Gray’s Cartoon Strip Conversations, or Kari Dunn Buron’s Incredible 5 Point Scale. The tools are there: the challenge for us is to use the tools that are available to build a social ramp for our students with invisible disabilities, and to understand and accept that they experience the world differently. This entry was posted in Aspergers, Autism, Uncategorized and tagged able-centric world, Autism, Carol Gray, Cartoon Strip Conversations, expectations, flexible thinking. modelling cognitive strategies, Incredible 5 point scale, Kari Dunn Buron, Manipulative, Michelle Garcia Winner, Neurotypical, Perspectives, Social Ramp, social rules, Social Thinking, social world. Bookmark the permalink. Who makes the *@#$%^* “rules” anyways? We all do this elaborate dance around each others feelings and work so hard at being “politically” or “socially” correct that we do not get to the heart of many important matters. I get the frustration with the rules, even though I am NT! Yes, we need to build this ramp BUT we can also learn from those who are not NT. YES! I love the insights you share, and I agree with you! Who is to say that the NTs have it right… and that ‘social’ is somehow better- or even that any of us navigate the social world effortlessly. NTs can have a tendency toward a very neuro-centric viewpoint… and I think it is important to be open to considering the validity of other perspectives, and maybe, too, we can all cut each other a little slack. I’m blessed that my child doesn’t have to worry about the problems experienced by autistic children on a social and emotional level. My heart goes out to the parents and my hand goes out to help those who struggle to inform and understand such a complex disease. I enjoy your blog and think it’s a wonderful resource. I mean this in the nicest possible way, as that is what you meant when you added your comment. Autism is not a disease, it is a way of looking at the world. 🙂 Thanks for your kind thoughts. I agree and I also appreciate the way you phrased this so respectfully! It think it can be difficult for others who are not autistic or closely involved with those who are – to understand that autism is a neurological difference – particularly when they are constantly faced with the tragedy/epidemic message promoted by some organizations and very often in the mainstream media. When we are able to explain that there is an alternative perspective – and can do so as gently as you were able to do – then we can shift understanding and increase the acceptance of neurodiversity. Is there someway I can be a part of this. My child has been turned down by many school who are suppose to be helping children with autism, for whatever reason. They only like to children on the higher end of the spectrum. As a parent it breaks my heart. I know my child can learn and has the potential – my child needs the right program, resources and teachers. Teachers who are creative and willing to try new things and have not given up on children because of a label. Please any advice feedback or suggestions would help. I actually want to come up with my own curriculum for my daughter to give to her teachers, I just don’t know how to start. I have attend many seminars and conferences. Thank-you for your blog! I understand what you are saying about the difficulty of finding a match for what you think your child needs to support her development. Some of the ideas behind the Social Thinking curriculum are intended for children with Aspergers or HFA. There is a link to Michelle Garcia Winner’s website in the blogroll located on the right hand side of this post. Regardless of where you child is at developmentally, I believe if you have an understanding of how you daughter’s experience and perception of the world and interactions might be different, then you will be in a position to assist her in developing needed skills and expanding the understanding of others. It is difficult for someone who has not met a child or spent time observing her to suggest an appropriate intervention or strategy, and it would not be responsible of me to do so. I can share with you that I have been very impressed with the response of various students and also my own child to Carol Gray’s Social Stories strategies, and also Cartoon Strip Conversations. Visual supports are likely a key component to supporting any child with autism in the classroom. May I suggest you look at do2learn to see if they might have some free downloadable resources for a starting place. I think that coming up with some ideas that you think might support what the teachers are doing at your daughter’s school might be a good approach, that is if they are open to it. Thanks you for your kind words about my blog. 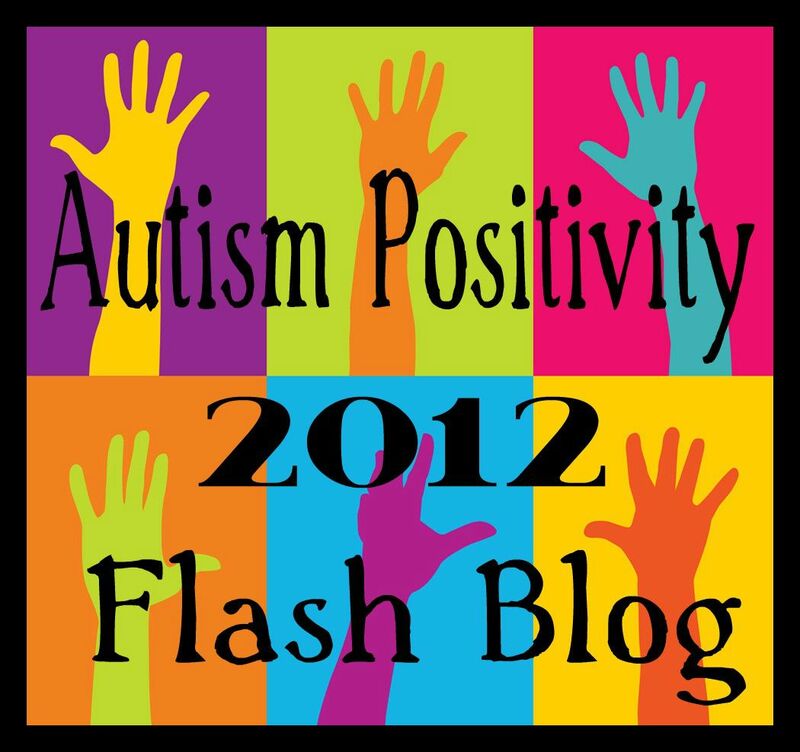 I am just putting the final touches on a 2 part post about sensory issues. You might find some information helpful here as well. I think that it is useful to teach ASD kids by using social stories and other devices that can be learned by rote. Manners, i have come to notice, have gone by the wayside by many parents, especially parents of ASD kids. Good manners being taught and modeled for them is so very important, because we probably won’t (without effort) be able to infer them on our own. This can mean the difference between getting jobs, friends, spouses in the future. Being taught good manners and basic politeness is imperative to a inclusion within society and can be a fairly concrete skill, ie please and thank you, holding doors, saying excuse me. These don’t require great social intuition. Also, on the same token, a little bit of understanding by others can go a long way with building the social ramp to go both ways. Knowing that we may need things spelled out for us, and not jumping to assumptions about our behavior would be helpful. Learning why we don’t make eye contact, or why we may not remember to to say hello for example. Taking a step back and maybe asking for clarification when something seems rude, or odd that we do, instead of taking it personally would be a nice step. Thank you for a lovely, thoughtful article. My husband and I often say If our child were in a wheelchair, he would get a lot more understanding. He has an “invisible” disability which makes navigating the social world difficult. Thank you for raising awareness about this subject. There are rules!?!??? The gentlemen I work with know many rules; and break none. They are very apt at pointing out the rule breakers. Its when to not follow rules that get super confusing to some. I worked with a student that was classified a rebel, trouble-maker, horrific non-vocal-eye-gouging spinner. Prior teachers had her in strap seats and other restraining devices (to prevent self-harm). This was in an inclusive high school. When I began working with the brilliant student; I watched what she was looking at, reacting to, and how people misunderstood just how much she knew of socialising. The aids were showing me how they assisted with lunch time. Prompts; specialised utensils; special diets, etc. However, they complained that “miss terror” (oh how I had to correct them on the naming of students) would throw her tray, and then lay on the floor and scream. After witnessing the routine once, I recognised the problem. The aids were teaching social graces accepted in restraunts and homes, and manors, and estates. This was High School; students sat in hall ways, laughed, joked, talked with their mouths full. Relaxed social dining the teen way. I went through the lunch line with Miss Genius; but instead of having her sit at her designated spot, I pointed to the hall. She smiled, and set off to make friends. And you know what, she did. She found her place amongst her chosen peers. Knowing when to break rules is tough. I broke an unwritten rule by teaching someone to break an unwritten rule. Uh oh, this is leading me down a path of badness. Ah… Wise ‘Yote, I love it when you leave a comment! Yes… let’s stay ‘on the path of badness’… and break the rules as needed (because clearly some of them are no of use) Together, with so many other amazing people, we are changing the world to be more appreciative of diversity!